The Yoga Book: A Practical Guide to Self-Realization is not a book for the mildly interested, the dabbler in yoga, or those who only want to perform physical exercises. This is not a book that can be digested in one night either, nor is it perhaps suitable for beginners flying solo. Author Stephen Sturgess calls upon his knowledge and experience in yogic traditions as well as Christianity to bring the body into the service of the mind. Sturgess says that the book is about Ashtanga Yoga, also known as Raja Yoga, and should not be confused with Ashtanga Vinyasa Asanas, or Power Yoga, which focuses on breathing and alignment of the skeletal system. In The Yoga Book, he discusses the eight limbs or components of yoga: social discipline, individual discipline, posture, the breath, withdrawal from the senses, concentration, meditation and enlightenment. Each aspect involves a spiritual and physical practice, which he describes in detail and in clear language. Importantly, he provides notes of caution when warranted, as some of the postures can aggravate medical conditions. 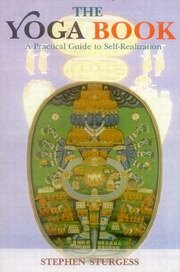 Self-knowledge plays a major role in this practice, in line with many holistic healing arts. Reduction of stress and the achievement of joy and balance are the potential outcomes. These are certainly suitable goals for our present-day hassled lives. The word "yoga" means integration and wholeness. Ashtanga Yoga refers to the eight "limbs" of yoga, such as posture, breathing, and specific disciplines, outlined more than 1,500 years ago, whichwhen practiced togetherlead to self-realization. This book dedicates one chapter to each of the eight limbs and offers practical advice and wisdom, along with exercises and affirmations designed to help the reader integrate yoga into everyday living.